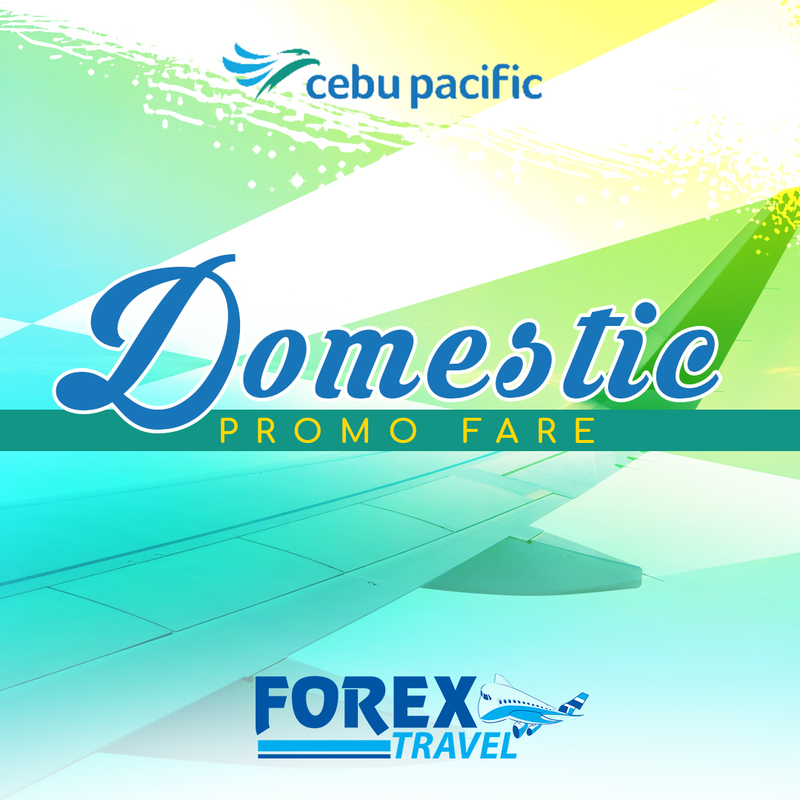 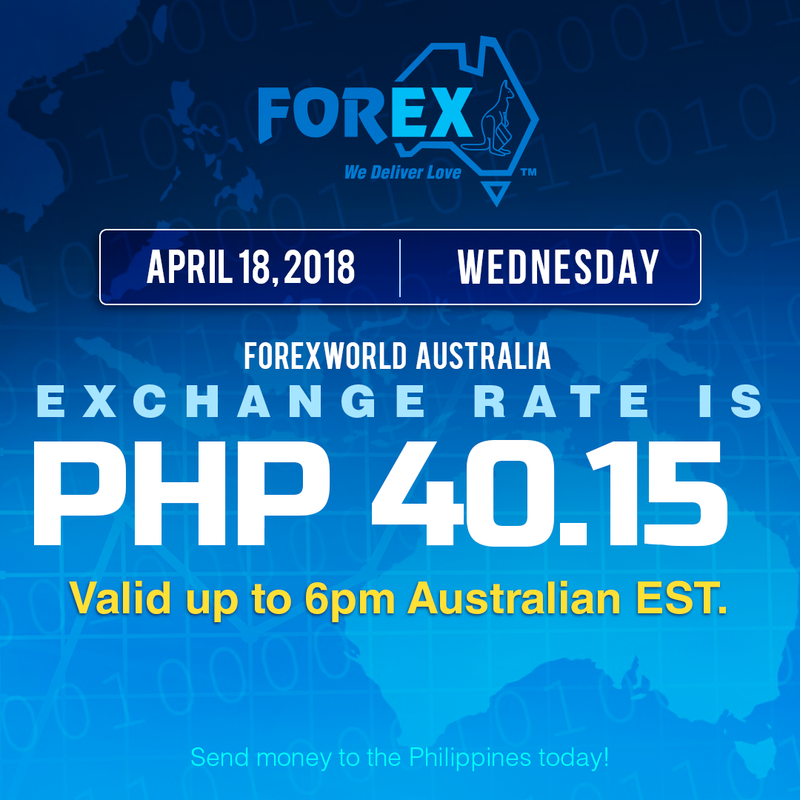 Forexworld Australia Exchange Rate April 18, 2018 (Wednesday) is PHP 40.15 valid up to 6pm Australian EST. 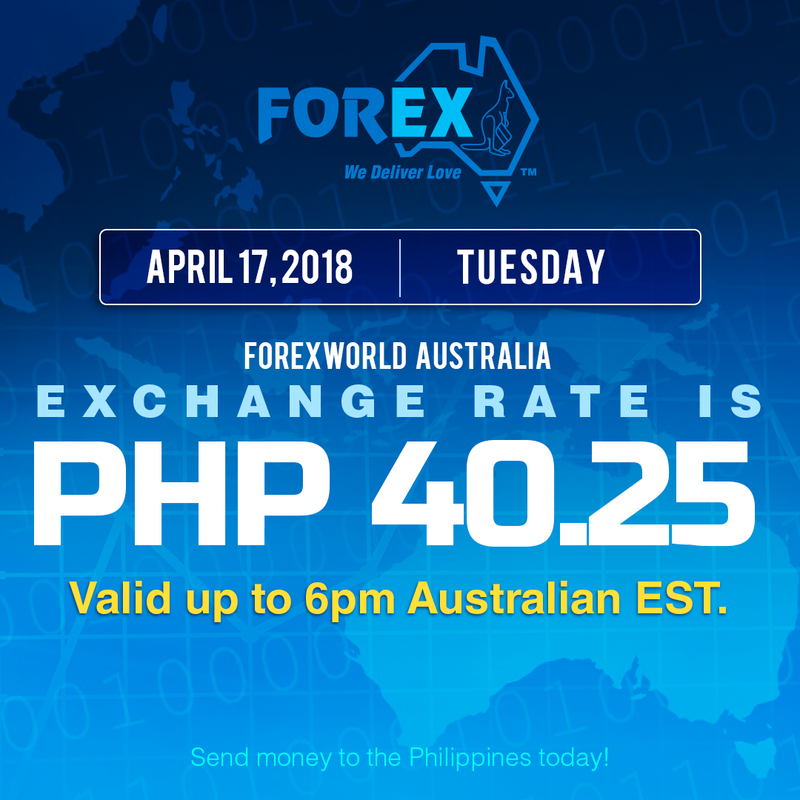 Forexworld Australia Exchange Rate April 17, 2018 (Tuesday) is PHP 40.25 valid up to 6pm Australian EST. 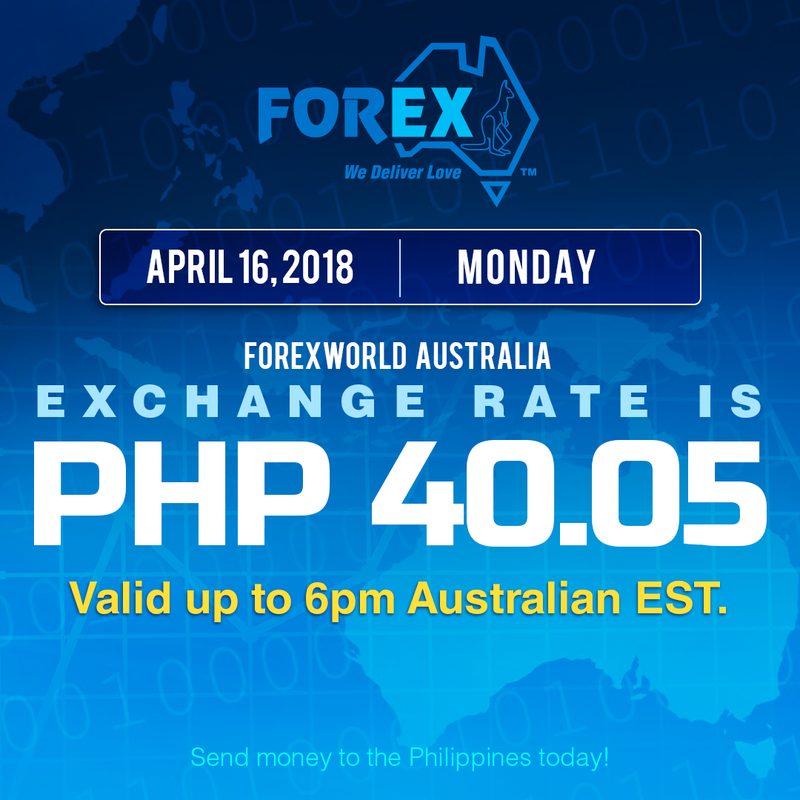 Forexworld Australia Exchange Rate April 16, 2018 (Monday) is PHP 40.05 valid up to 6pm Australian EST. 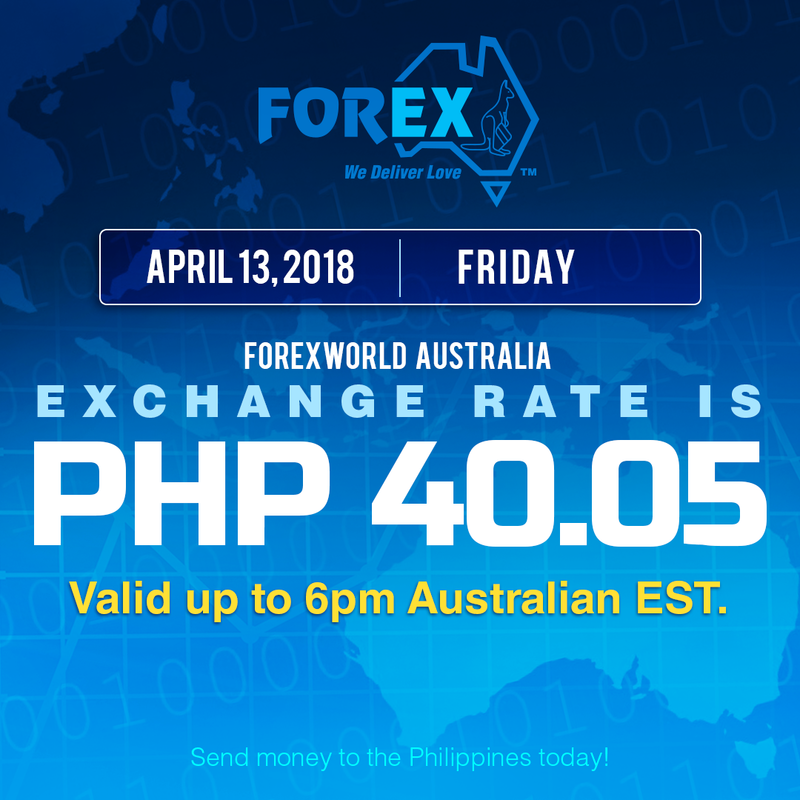 Forexworld Australia Exchange Rate April 13, 2018 (Friday) is PHP 40.05 valid up to 6pm Australian EST. 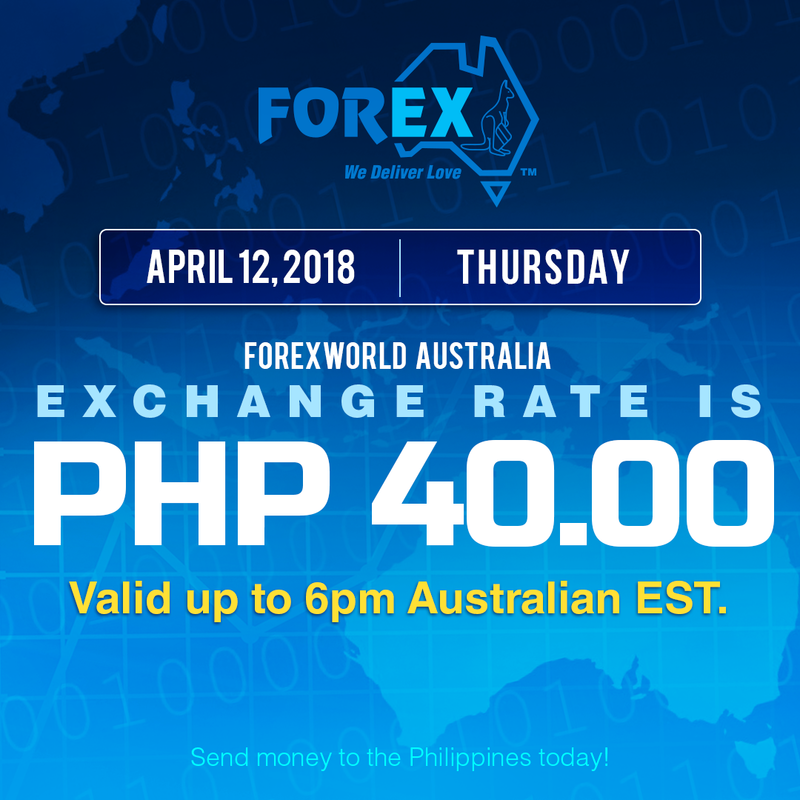 Forexworld Australia Exchange Rate April 12, 2018 (Thursday) is PHP 40.00 valid up to 6pm Australian EST. 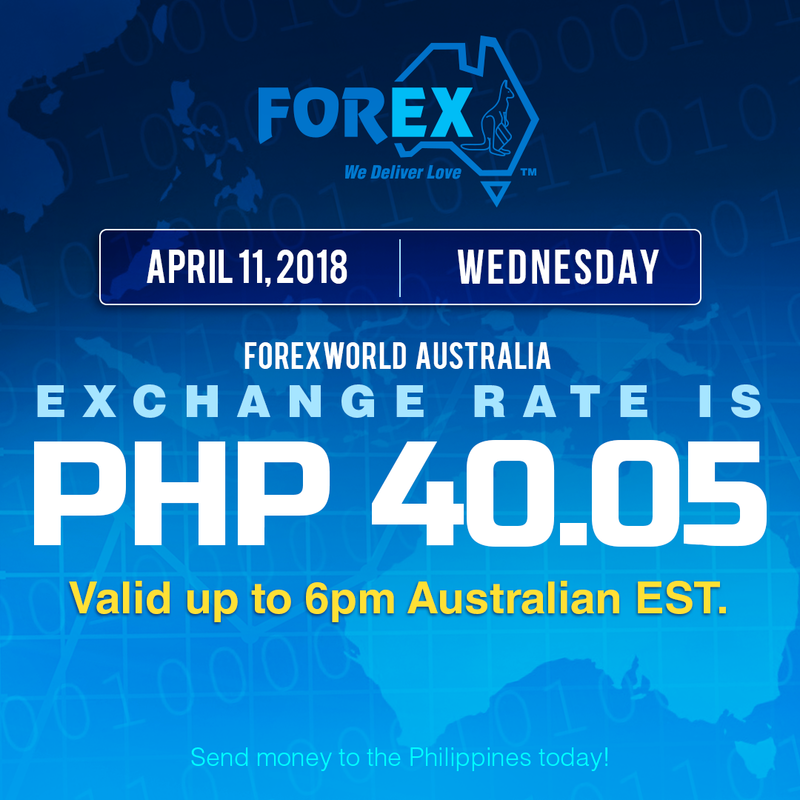 Forexworld Australia Exchange Rate April 11, 2018 (Wednesday) is PHP 40.05 valid up to 6pm Australian EST. 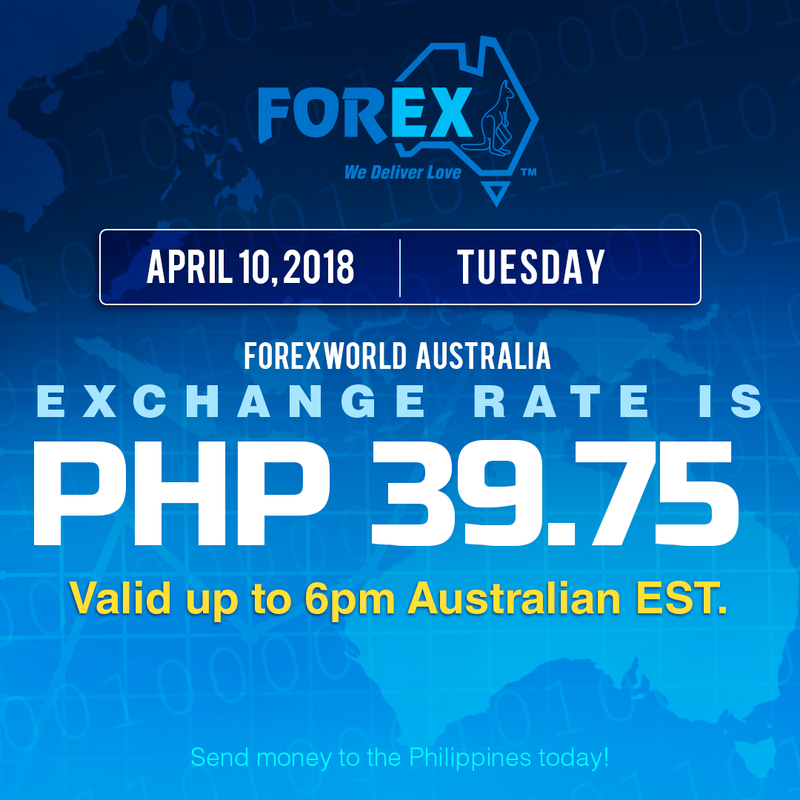 Forexworld Australia Exchange Rate April 10, 2018 (Tuesday) is PHP 39.75 valid up to 6pm Australian EST. Forexworld Australia Exchange Rate April 9, 2018 (Monday) is PHP 39.65 valid up to 6pm Australian EST.